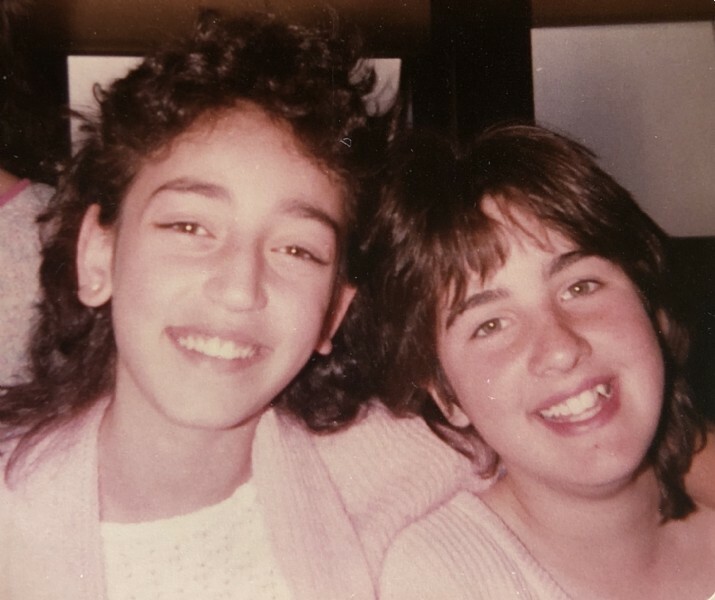 I went to a private Armenian elementary school in the suburbs of Boston. There were eight of us in my sixth grade class (five girls and three boys). It was a fun, academically-challenging experience and we were a close-knit group of friends. Then came junior high school. I'm a November baby, so I started 7th grade when I was 11 years old. I was small, skinny and short – always the tiniest and youngest person in my class. And although I had lived in the United States for eight years and spoke English perfectly, I still felt like a FOB. My childhood was innocent and sheltered, especially in such a small school where everyone was like family. I didn't know or follow the fashion trends or keep up with popular fads. On the first day of 7th grade my mother dropped me off on her way to work. I was so scared. It was a public school. The building was huge compared to what I was used to. I only knew two other students, but their last names began with "A" and "Z" and mine was "M," so we were in separate homerooms. I was terrified. I went into the restroom and cried. I wiped my tears and walked into my homeroom. We were seated alphabetically and the teacher took attendance. At some point in those first few minutes in the classroom, the girl in front of me turned around. She looked at me and said, "Hi, I'm Sarah Martin." Four simple words – "Hi, I'm Sarah Martin" – changed everything for me. I wasn't alone anymore. I had a friend. Sarah was half-Armenian. She knew most of the other kids from grade school. She introduced me to her friends. She asked me to sit with her at lunch. She included me, right from the start. She took a chance on the new girl. She was kind. She was friendly. And I will never forget her. My boys started school today. They are in 5th and 8th grades this year at a private Christian elementary school. It's much bigger than the school I attended, but tiny compared to the public schools in town. Every year before school starts, I have an important talk with my boys. I remind them to be respectful, obedient and, most importantly, kind. I ask them to reach out to the new kids, to introduce themselves and to be helpful. I especially impress upon them the importance of looking out for anyone sitting by themselves or walking around alone at recess. I ask them to think about how it might feel to be the new kid, alone and scared, not having any friends at a new school. I ask them to be Sarah Martin. It's so easy. So simple to just say, "Hi. I'm …" To smile. To ask them to play. To invite them to sit with you. But it could mean the world to them. is the power to change a persons life with a simple hello!, a word of affirmation. Good job Mom. One day, your kids will teach their kids the same lesson!